Seeing cancer in three dimensions ~ Health Matters Today! One of the hallmarks of cancer cells is that certain regions of their DNA tend to get duplicated many times, while others are deleted. Often those genetic alterations help the cells become more malignant — making them better able to grow and spread throughout the body. Now, a team of MIT and Harvard University researchers has found that the three-dimensional structure of the cell’s genetic material, or genome, plays a large role in determining which sections of DNA are most likely to be altered in cancerous cells. 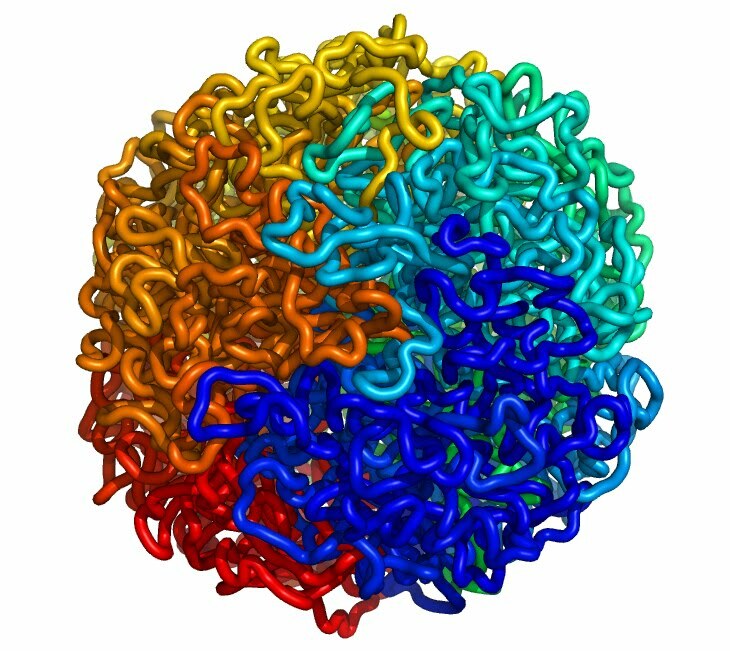 The researchers, led by Leonid Mirny, an associate professor of physics and health sciences and technology, developed a technique to compare the 3-D architecture of chromatin to the chromosomal aberrations often seen in cancer. In the new study, they showed that any two points that routinely encounter each other are more likely to form the end of a DNA loop that gets cut out or duplicated. “It looks very much like the chromosomal aberrations in cancer, to a large extent, are shaped by the chromosome’s structure,” Mirny says. The findings, described in the Nov. 20 issue of Nature Biotechnology, reveal mechanisms and underlying physical principles governing genome alterations in cancerous cells, and could help pinpoint locations that host undiscovered cancer-causing or tumor-suppressing genes. In 2009, a team of scientists — including Mirny and colleagues from MIT, the Broad Institute, the University of Massachusetts Medical School (UMMS), and Harvard — reported the first three-dimensional view of the human genome. Using an experimental technique developed in the lab of UMMS’ Job Dekker, called Hi-C, and simulations developed in the Mirny lab, they found that the genome is organized in a structure known as a “fractal globule,” which enables the cell to pack DNA incredibly tightly while avoiding the knots and tangles that might interfere with the cell's ability to read its own genome. Mirny and his colleagues had no plans to use Hi-C to study alterations of the genome in cancer until a serendipitous conversation arose with scientists at the Broad Institute. Those researchers, including Gad Getz, the director of Cancer Genome Computational Analysis at the Broad, and Matthew Meyerson, a senior associate member of the Broad and professor of pathology at Harvard Medical School, were studying genetic mishaps —common in cancer cells — known as single copy number alterations (SCNAs). SCNAs can be deletions of a large region of DNA or duplications of a region — meaning they could play some role in cancer, since it’s advantageous for a cancer cell to have many copies of stretches containing oncogenes (cancer-causing genes), or to delete stretches with tumor-suppressing genes. Getz and colleagues at the Broad had shown that the probability that a particular stretch of DNA will be duplicated or excised is inversely proportional to its length. When Mirny looked at their findings, he noticed a striking similarity to the Hi-C data: The probability that two particular spots on a chromosome will come into proximity with each other is also inversely proportional to the length of the DNA between them. Mirny and Getz decided to test the hypothesis that the three-dimensional structure of the chromosome influences the likelihood of a particular stretch of DNA being copied or deleted. To do that, they compared the structure of chromatin predicted by the fractal-globule model with the locations of common SCNAs found in 3,000 cells exhibiting 26 different types of cancer. What they found confirmed this idea. “What we see by mathematical modeling is that the probability of two points coming together in the 3-D structure is very close to the probability of a loop of that length to be amplified or deleted,” Mirny says. “It gives even more evidence to the notion that the physical colocation of otherwise disparate regions of the genome in the cell is the source of errors that arise,” says Levi Garraway, an assistant professor of medicine at Harvard Medical School and a member of the Broad Institute and Dana-Farber Cancer Institute who was not involved in this research. This work also suggests a possible mechanism by which SCNAs may occur: When two points are in contact with each other, there is a greater chance that these points may be joined by mistake during DNA repair. When DNA suffers a break, special enzymes move in to repair it. If two points near each other are being repaired at the same time, the enzymes may accidentally attach them to each other, creating a loop that gets cut out of the genome, says Geoff Fudenberg, a graduate student at Harvard and lead author of the paper. This explains how excisions might occur, but the researchers believe that the mechanism of creating duplications is likely more complicated. In this study, the researchers also investigated the likelihood of these alterations spreading through a population of cancer cells. It was already known that alterations beneficial to the cancer cell are more likely to spread through the population, while those that are detrimental get eliminated. There is also a third class of mildly damaging mutations called “passenger mutations.” In this study, the researchers found evidence that these mutations also can be selected against. Specifically, the longer the alteration, the more likely it was to be eliminated. In future studies, the team plans to analyze 3-D genome models of different cancer types, to see if the alterations likely to occur in liver cancer, for example, differ from those that would occur in lung cancer. “The more you know about mutational mechanisms, and the more you understand the landscape of possible mutations in cancer, the better job you’re going to do at finding genes that are really helping the cancer, and the better you’ll be able to target those,” Fudenberg says.